The glitzy land of wonders! 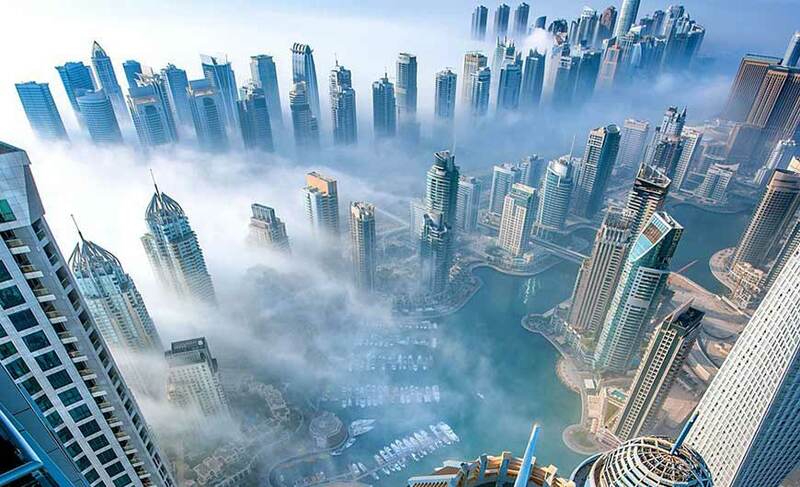 The fascinating city of Dubai must be seen to be believed! It is a great city in the United Arab Emirates (UAE) and is one of the seven emirates that make up the country. Its mind-blowing architecture, sky-rocketing towers, underwater hotels, man-made islands, mesmerizing beaches, huge shopping malls and many more attractions will sweep you off your feet. Also, luxury is an attraction in itself in Dubai, there is no limit to which one can experience it. Attractions galore in Dubai! 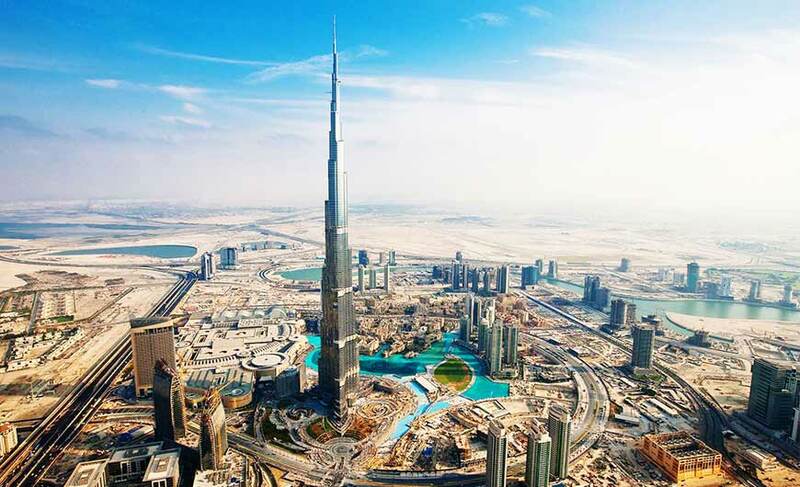 This magnificent architectural wonder is tallest building in the world (828 m) having two observation decks on the 124th and 148th floors offering 360 degree views of the city, desert on one side and ocean on the other. There is a restaurant-bar on the 122nd floor where you can enjoy a great meal along with the great views. Night-time visit is all the more interesting. Dubai Museum is located in the Al-Fahidi Fort which dates back to 1787 and is the oldest surviving structure in the city. It displays instruments and handcrafted weapons, artifacts from ancient settlements, unearthed artifacts from the numerous tombs in the area, Emirati musical instruments and much more. It is the perfect place to get acquainted with Dubai’s history. If you wish to experience the epitome of luxury, stay in Burj Al Arab, the most luxurious hotel in the world. It is world’s first seven star hotel established by Jumeirah. It is a beautiful man-made island in the form of a palm tree. It is one of the largest artificial islands in the world. There are many world class hotels located on this island. It divides the city into two parts- Deira to the north and Bur Dubai to the south. It served as a site for commercial activities and played an important role in the development of Dubai. It is still used by small traders and some of the dhows (a traditional sailing vessel) anchored here are around 100 years old. It is one of the most arresting mosques of the city. It is a replica of Cairo’s Al-Azhar Mosque which is eight times its size. It reflects fabulous Islamic architecture with subtle details in the stonework. This blooming garden of Dubai boasts of around 45 million flowers and is world’s largest flower garden. The Mall is not just a mall but a wonderful attraction. It has more than 1200 shops, 150 restaurants, an interesting theme park, an ice rink, indoor waterfall, luxury hotel, a 155-million-year-old dinosaur skeleton, a choreographed fountain, a huge aquarium and underwater zoo. The cuisine of Dubai is a mix of Middle Eastern and Asian cuisines. The traditional food involves the use of meat, grain and dairy products. Vegetables are also an important part of the meals. Some of the traditional dishes are Ma'louba,Margooga, Harees, Machbous, Frsee'ah, Fireed, Jisheid, and Mishwy. The modern meals here feature dishes from all over the world. From small local markets to huge malls, there are many places to shop in Dubai. 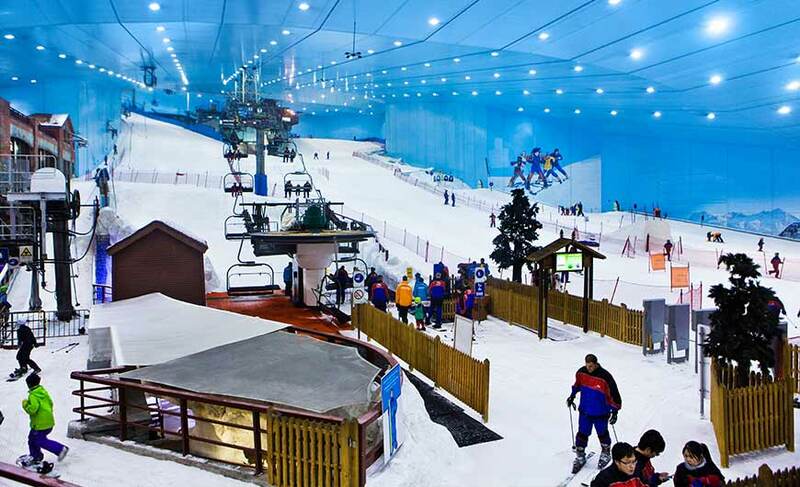 In fact, Dubai holds a shopping festival in its famous Dubai Mall in January and February. During the festival one gets huge discounts on a wide variety of items. 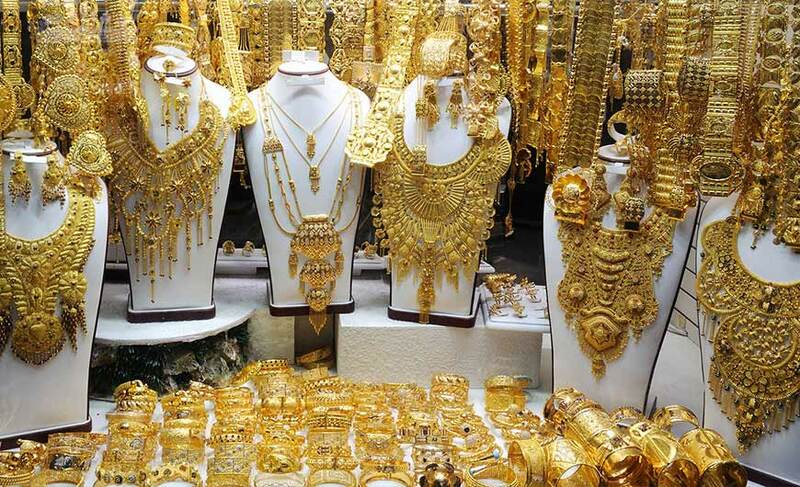 From gold to electronics, designer clothes and luxury items, you can buy a lot in this city which is synonymous with shopping. The city has Dubai International Airport and the airlines servicing the airport are Emirates Airlines (Dubai’s official international airline), FlyDubai and Etihad. The airlines connect Dubai with more than 100 destinations across the world.